Friday night my friend convinced me to go see a show, so we mosied on down to Benny's for a few beers and some food while we waited for Space Koi to come on across the street at Legume. I have to say, I'm not a live music kind of gal, but I had a lot of fun and really enjoyed the music. 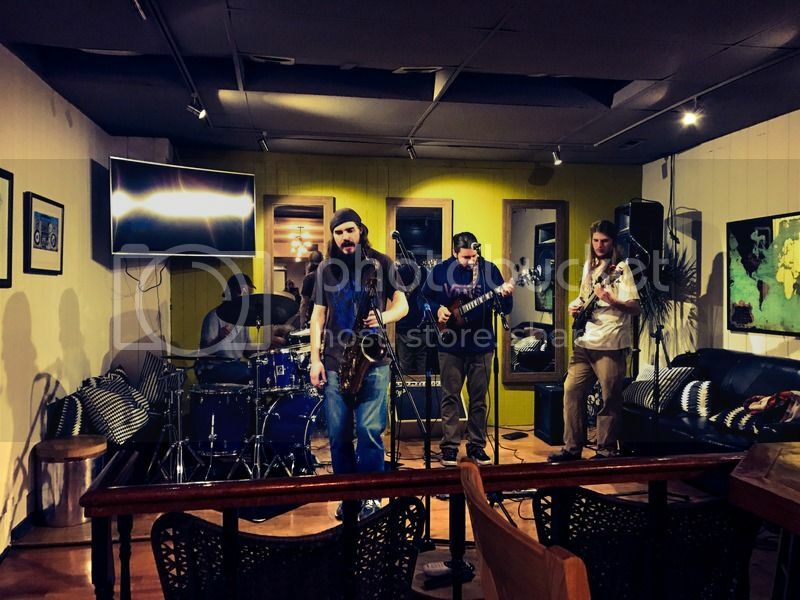 Space Koi is an awesome mix of bluegrass and reggae! We've decided that this summer we're going to see more live music and get outside more. The temperature took a dive so we haven't made it out much, but we've already seen a bit of one show so we're off to a good start!